Microsoft officially ended their Windows 10 free upgrade program on July 29th, approximately a year after the operating system was released and just days before the Windows 10 Anniversary Updatearrived. Windows 10 is now running on 400 million active devices as of September, thanks in no small measure to that free upgrade offer. There are still a lot of Windows 7 and 8 PCs out there, however. For those that did want to upgrade but didn’t get around to it, there are still a couple of known ‘loopholes’ to get a free Windows 10 upgrade which Microsoft hasn’t bothered to close, even months after the offer formally ended. Microsoft is continuing to offer free Windows 10 upgrades to those who use assistive technologies, such as a screen narrator or magnifier. Anyone running Windows 7 or Windows 8.1 qualifies for the offer, as Microsoft isn’t really checking to see whether you are actually using these assistive tools. The upgrade process couldn’t be simpler. Just head to Microsoft’s accessibility website, download the program that’s listed on their upgrade page, and then install your free Windows 10 update. There is no end date to the free Windows 10 upgrade program for assistive tool users as of writing, but Microsoft will make “a public announcement prior to ending the offer.” The Windows 10 Anniversary Update brought new accessibility features and Microsoft wants to ensure that users who require them get the best experience, so they’re quietly keeping this upgrade path alive for those that need it. Assistive technologies are designed to provide additional accessibility to individuals who have physical or cognitive difficulties, impairments, and disabilities. Back when this ‘loophole’ was first reported on, Microsoft noted that they are not restricting the free upgrade offer to specific assistive technologies, however it is not intended to be a workaround for people who don’t use assistive technology and who missed the deadline for the free offer. In other words let your conscience be your guide. Another known and still available loophole to score a free Windows 10 upgrade is to enter valid Windows 7 or Windows 8 product keys into the Windows 10 installer — or later in the operating system. We’d expected Microsoft to close this activation workaround soon after it was uncovered back in August, but as it turns out, it’s still wide open. 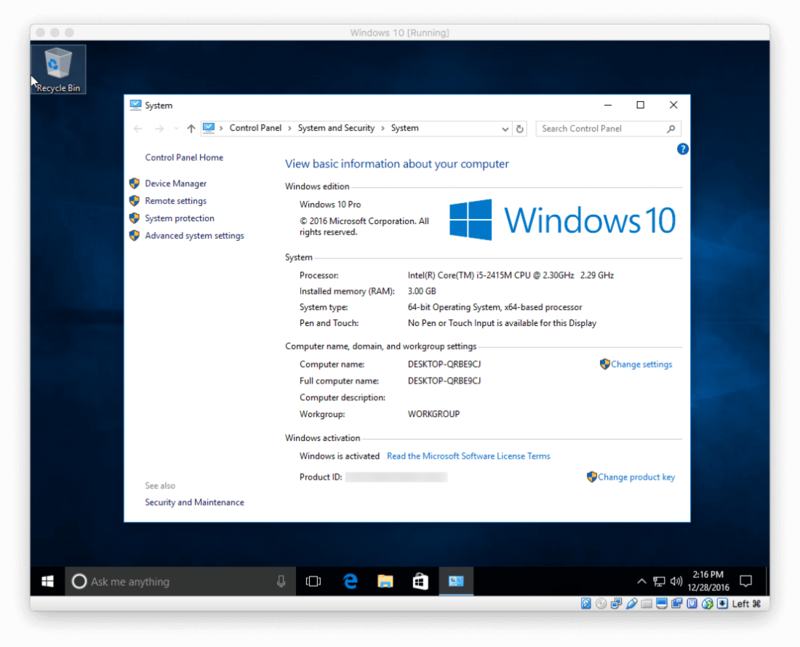 I created a virtual machine and installed Windows 10 using an ISO image obtained from the official Windows 10 media creation tool. I didn’t have an old Windows key readily available but you can get them for as little as $30-$40 on sites like Amazon, G2Aor Reddit. For those that just need access to a fresh Windows 10 install temporarily there’s always the option to install Windows 10 into a virtual machine without actually activating it. The operating system will nag you about activating it, but if all you need is to run some tests this is one way to go about it. You can also download a 90-day evaluation version of Windows 10 Enterprise from Microsoft’s website.